In this tutorial, Dubspot’s Rory PQ demonstrates how to isolate vocals from a song using phase cancellation in both Ableton Live and Logic Pro. Have you wanted to remix a song or create a mashup and needed a good acapella? In this tutorial, we will look at how to isolate vocals from a song using phase cancellation in both Ableton Live and Logic Pro. There are several different ways to isolate vocals in a song. However, one of the most efficient methods is to extract vocals using phase cancellation when simultaneously playing back an original vocal mix with an identical instrumental version of the same song. 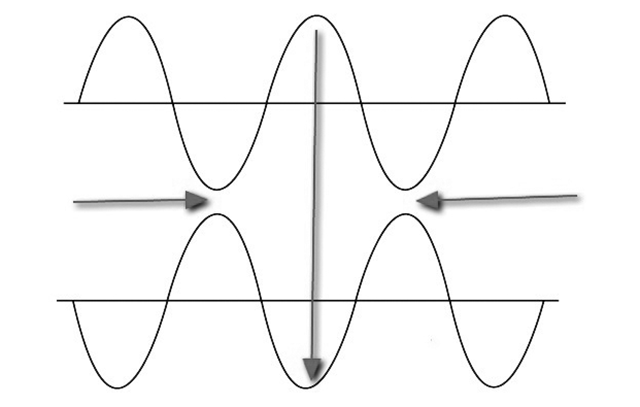 Phase cancellation is an audio phenomenon that occurs when multiple waveforms work against each other resulting in a reduction of frequencies. For example, waveforms have many peaks and valleys. If these peaks and valleys are out of sync while playing back two signals with similar frequencies at the same time, they will either cancel each other out or reduce levels of certain frequencies. If two identical waveforms are 180 degrees or 100% out of phase, they will completely cancel each other out when combined. Flipping the phase on an original vocal mix while simultaneously playing back an instrumental mix is highly effective because the two identical versions cancel each other out leaving only the vocals. This method could also be used in reverse. You could use an acapella to cancel out the vocals from the original mix to create an instrumental version of a song. The phase cancellation method often works better than the other techniques used to isolate vocals, however, keep in mind that it doesn’t always work 100%. It is important to use high-quality audio files and to ensure the instrumental version is identical to the vocal version. You may also hear some sounds bleed through at times if any background noises were picked up while recording the vocals or if an instrument or audio effect has a parameter set to random. 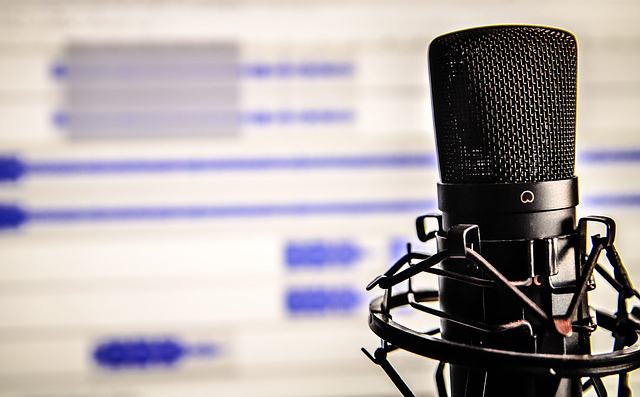 If you encounter any unwanted sounds, use an EQ or specialised audio restoration software such as iZotope’s RX 5 Audio Editor to clean up the vocals. The song ‘Man in the Making’ used in this demonstration was created by NOAH and remixed by James Chelios. Both artists are Dubspot Alumni. 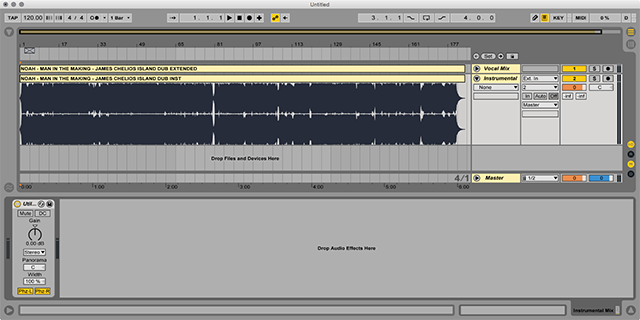 Extracting vocals in Ableton Live using the phase cancellation method is extremely easy. Load the vocal mix and instrumental mix to separate tracks in Arrangement View and ensure they are lined up exactly to each other. Drop a Utility device on the instrumental track and enable both the Phz-L and Phz-R buttons. That’s it! If everything goes right, you should only hear vocals. Create a new Audio Track, select ‘Resampling’ from the Input Channel chooser, arm the track for recording, and then enable the Arrangement Recording button to begin recording. Extracting vocals in Logic Pro using the phase cancellation method is accomplished in a similar way as in Ableton Live. 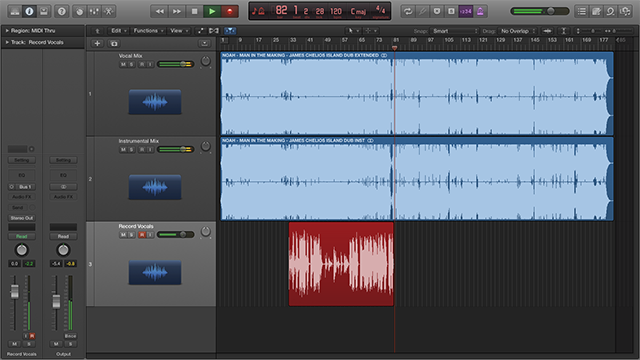 Import the vocal mix and instrumental mix to separate Audio Tracks and ensure they are lined up exactly to each other. Load the Gain device on the instrumental track and enable both the Left and Right Phase Invert buttons. 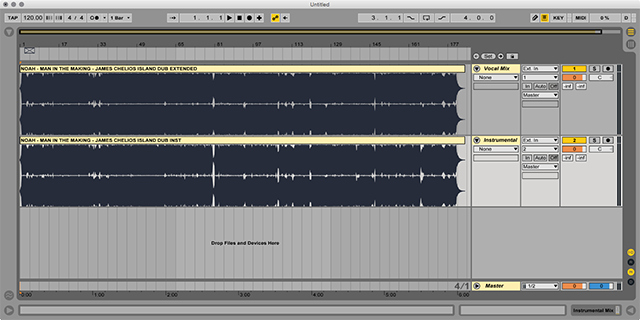 Select both tracks and simultaneously set the output for each to the same Bus channel. Next, create a new Audio Track and set the input to the new Bus channel. 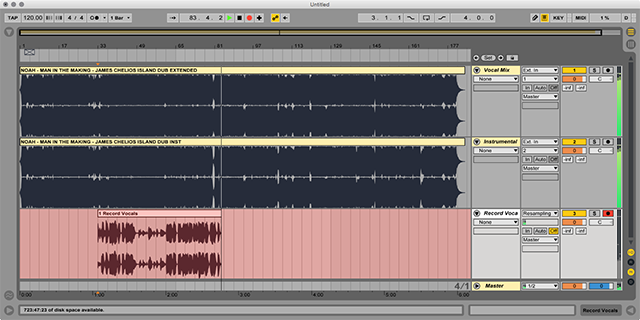 Lastly, arm the track for recording and then click the Record button to begin recording.